I only use Ontario woods in all of my pieces, all of it grown locally and much of it from my own carefully managed forest. Figure is the collective visual appearance of a board or slab. It includes the grain, colour, knots, etc. 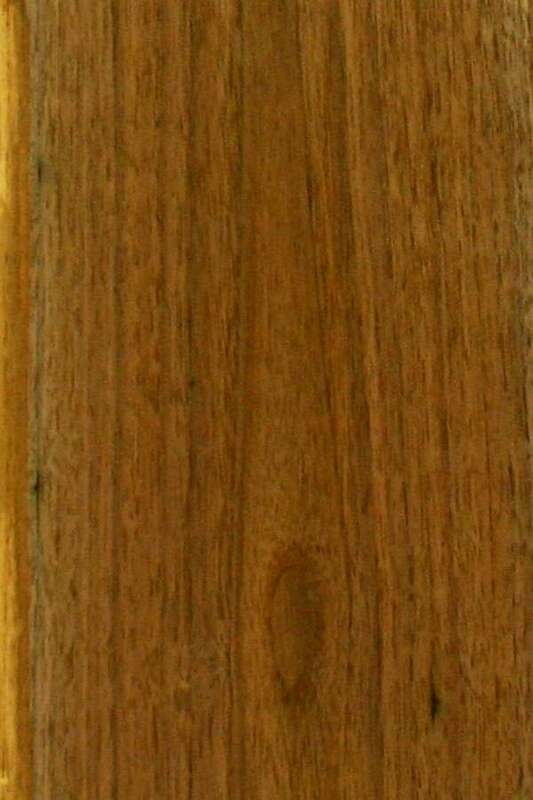 All wood has figure. Some woods are plain; some are quite spectacular. 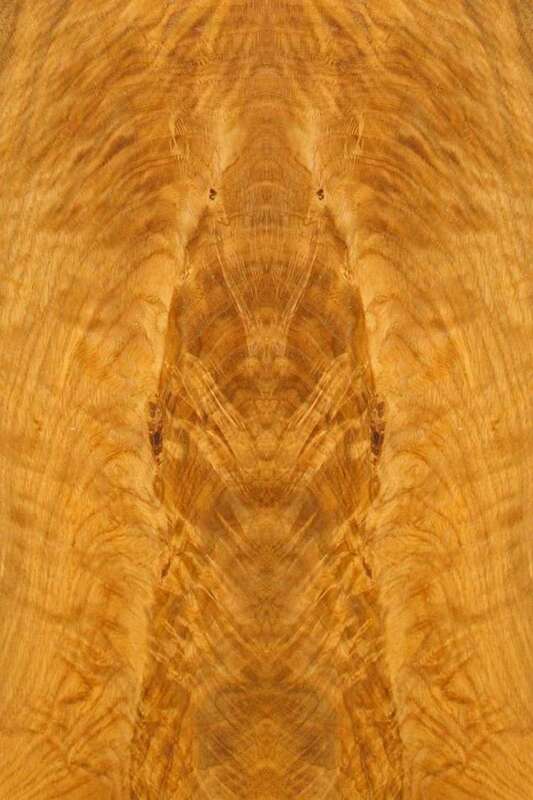 With careful selection and cutting, our Ontario woods can be just as striking as any exotic. 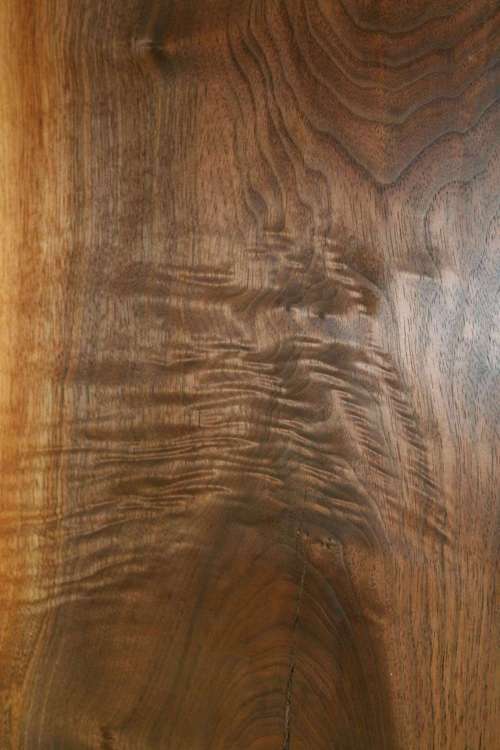 Beautiful exotic accents can be achieved by roasting domestic hardwoods.The beauty of roasted wood is that you can achieve the strong contrast that feature accents on a piece but maintain perfect matching of grain and texture. 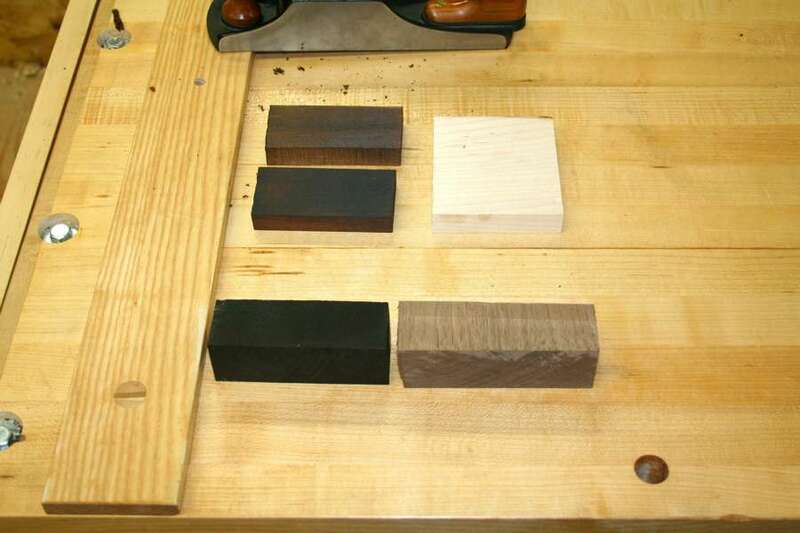 The colour goes all through the wood and will never wear off, unlike stained pieces. And you never have to participate in the decimation of rainforests by using exotic woods. 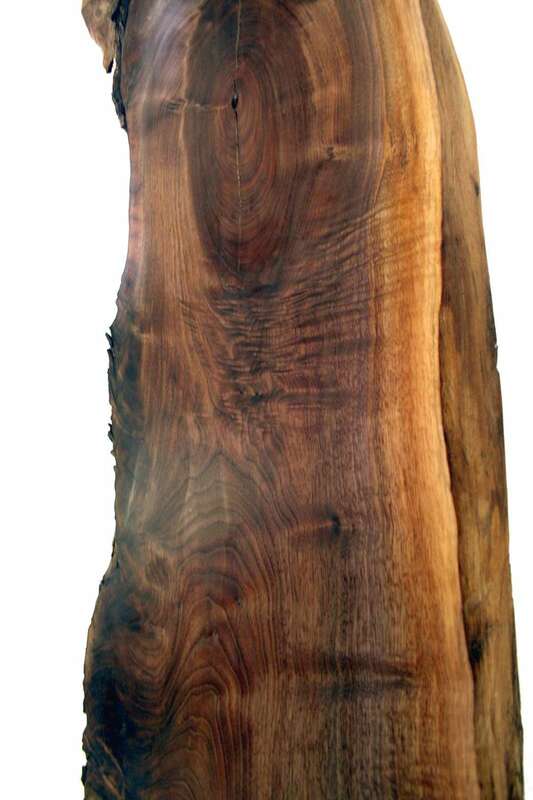 The warm honey tone of black cherry only mellows with age. 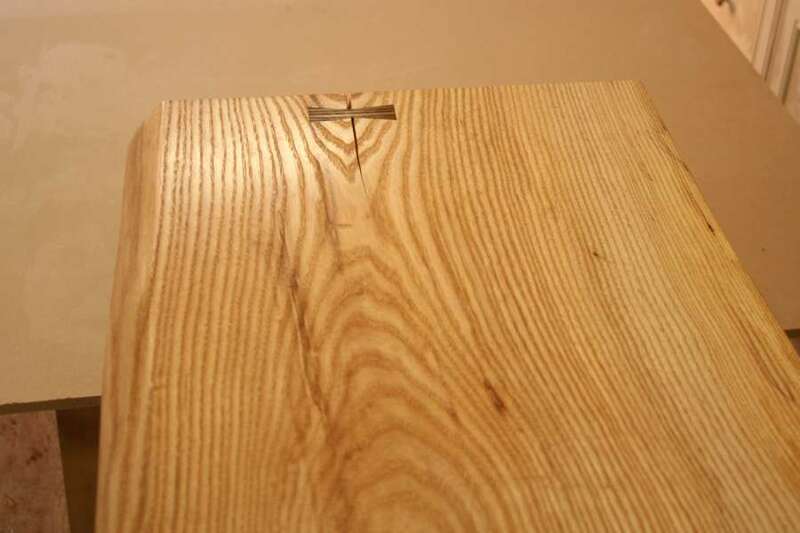 This can be subtly enhanced by applying one or two coats of boiled linseed oil at the start of the finishing process, as was done with this table. 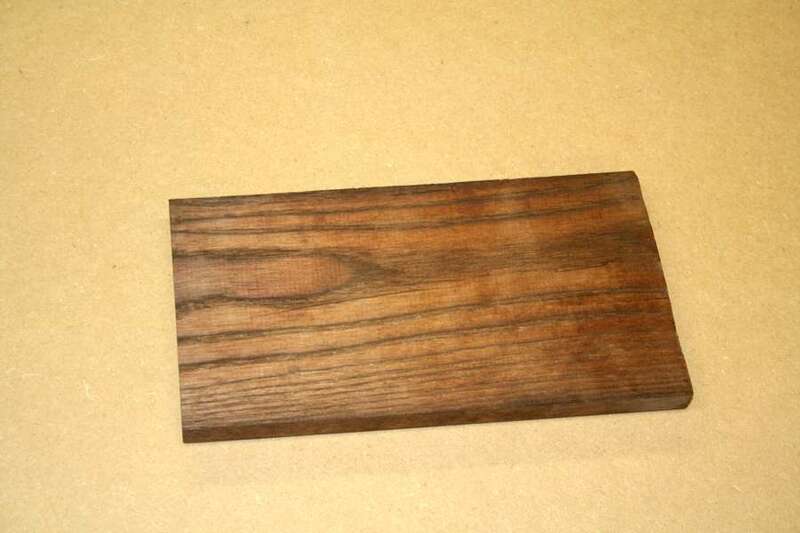 Walnut is the prince of domestic hardwoods. Rich, warm, versatile, it’s a joy to work, view, and touch. 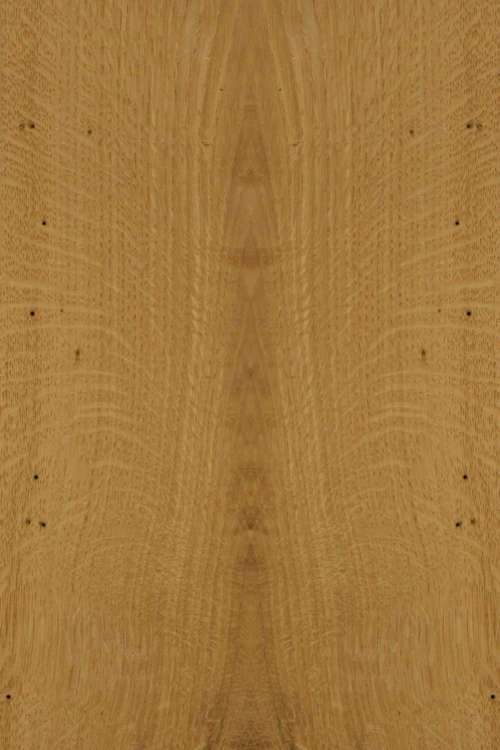 Similar to the more common red oak, white oak has a more serious look; and quarter-sawn, its medullary rays give a striking figure. 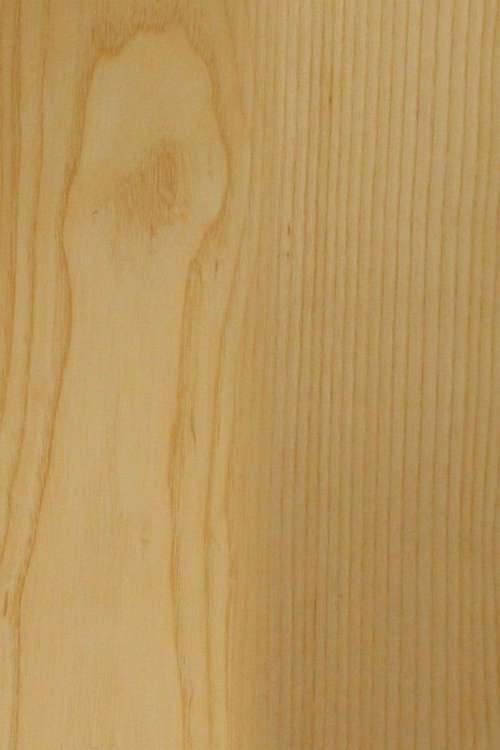 Quite pedestrian, white ash is excellent when used to contrast with and support the richer woods like walnut and cherry. 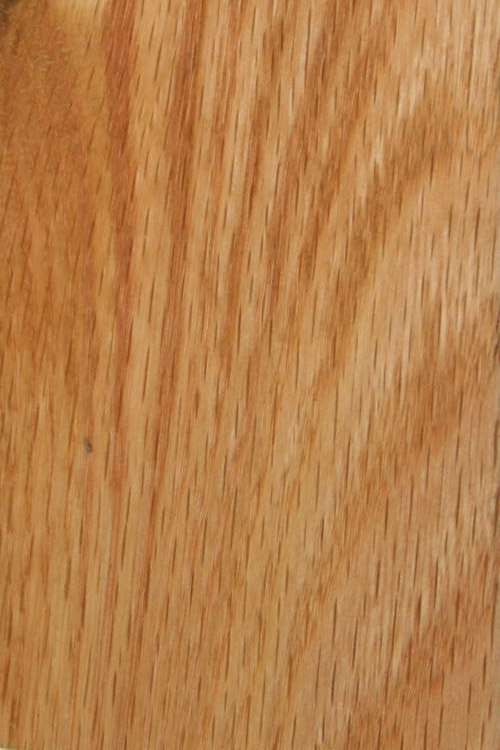 The quarter-sawn grain (at right of photo) is much plainer than white oak but emphasizes the strong lines of linear forms when so used. 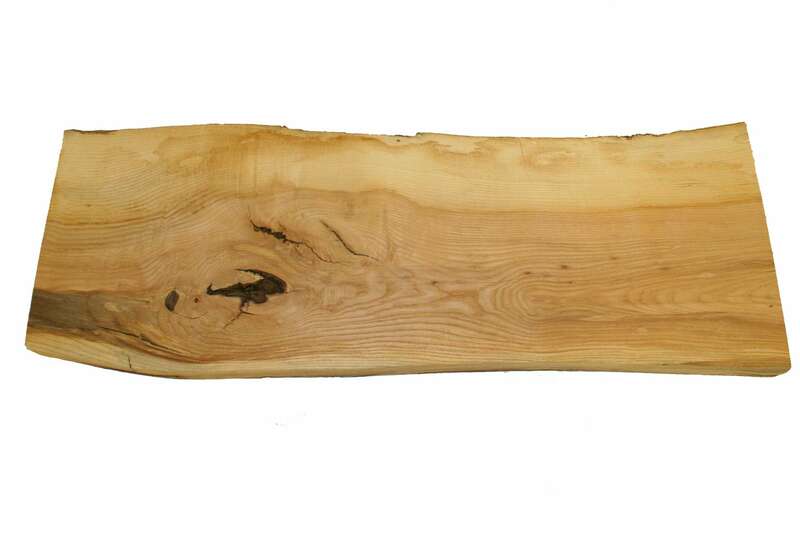 Sometimes you can find ash slabs that are interesting in their own right. 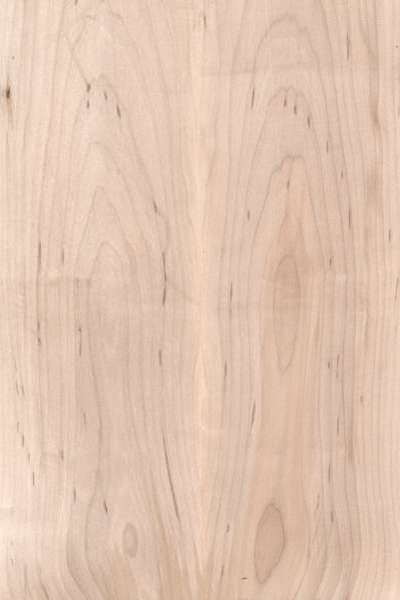 Hard and soft maple are both fairly plain woods and make an excellent contrast with black walnut or black cherry (works well in ice-cream too). 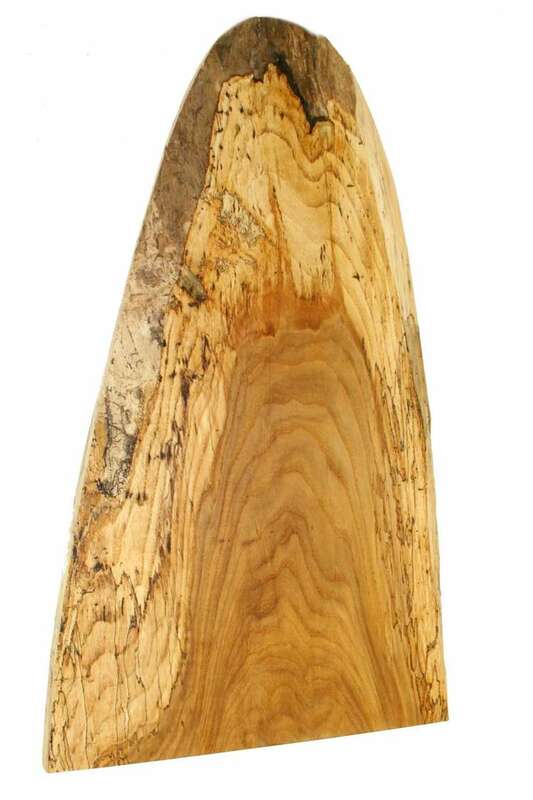 Spalted and/or wormy maple boards are works of art in themselves and also look great with walnut or cherry pedestals. 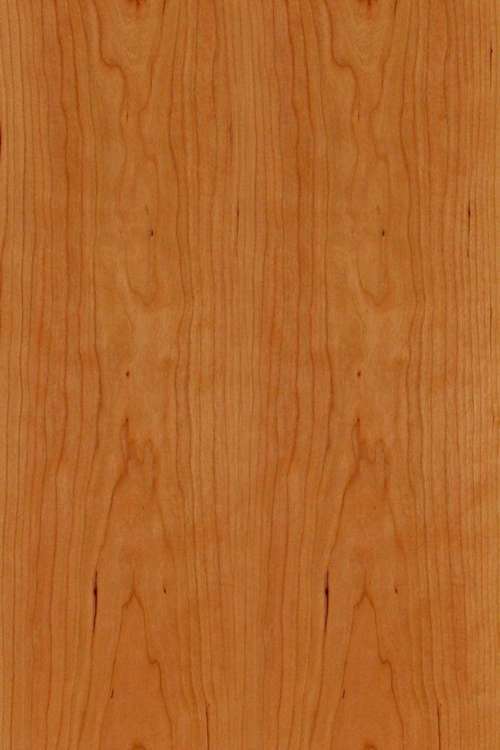 Red oak has long been the mainstay of country kitchens and is fairly plain. Even quarter-sawn it’s not as striking as white oak. It’s hard, strong, warm, and familiar; but I don’t use a lot of it. 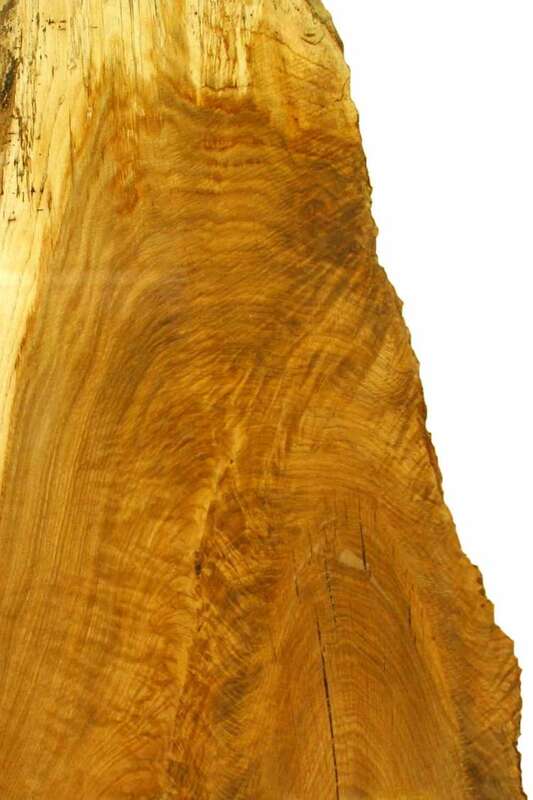 This beautiful white oak slab was rescued from a stump (still rooted in the ground) left in a pasture after the tree was cut down. The worm holes and spalting merely add to its figure. 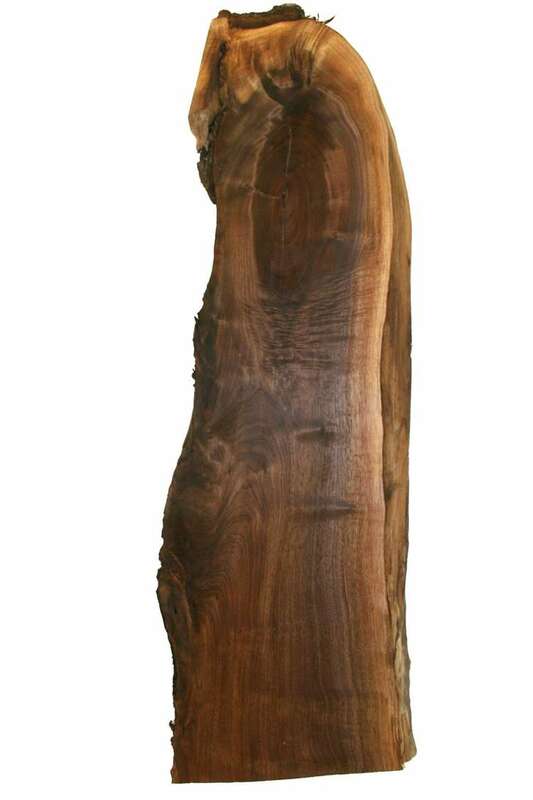 Beautiful when plain-sawn, black walnut is absolutely stunning when undulations in the cells and sections of a branch are embedded in its surface. 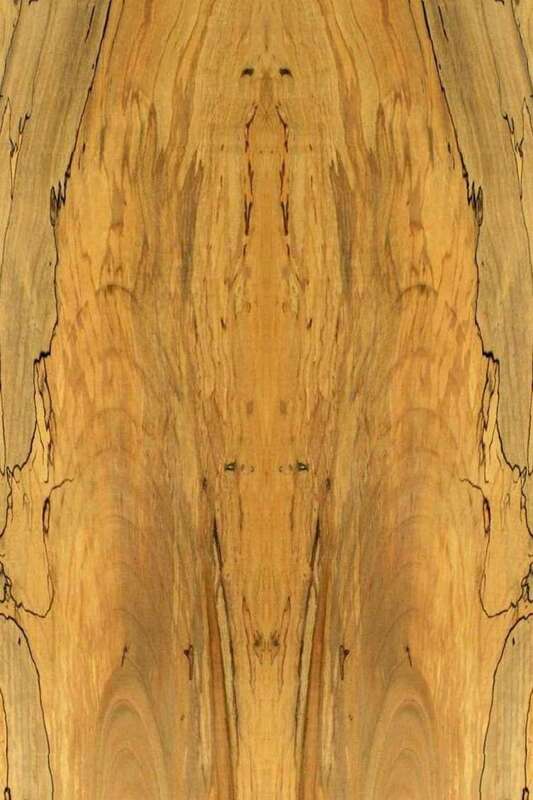 Though plain-sawn, this spalted oak slab (also from a stump) has beautiful figure, somewhat reminiscent of a flame. 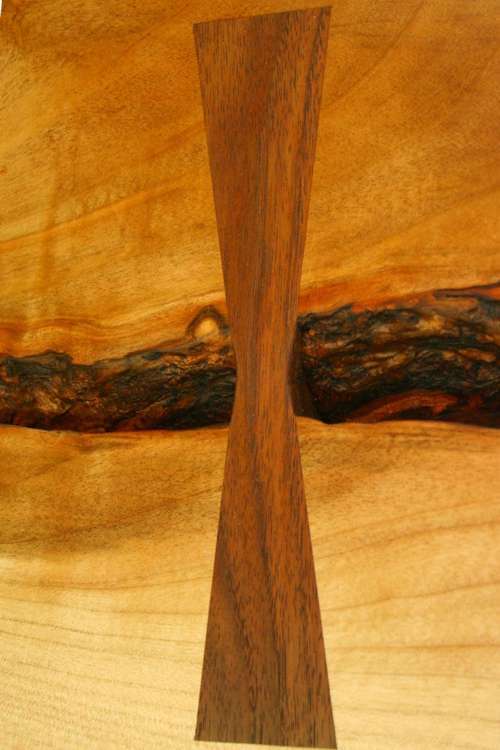 By carefully controlling the temperature and the timing, this piece of ash was roasted into a rich, burnt umber colour. 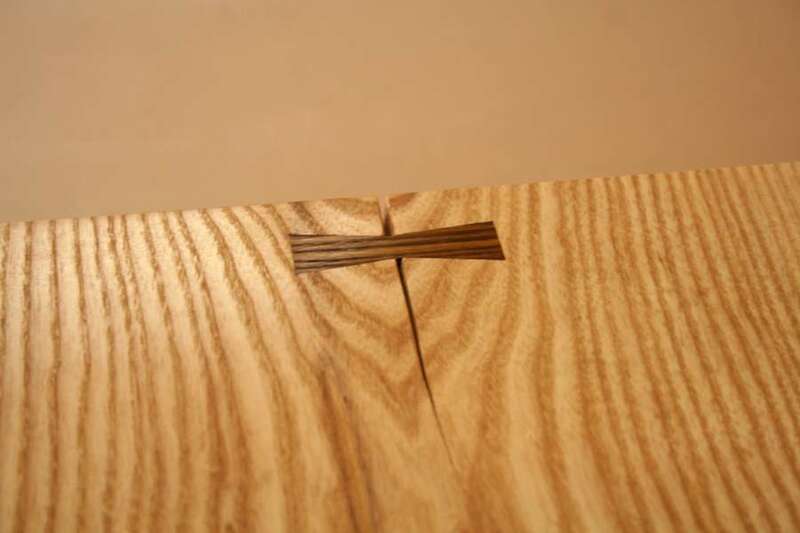 Next, a piece was cut and inserted as a butterfly key into the top of an old ash slab. The contrast is precise, not as overpowering as walnut would have been for this project; and the texture of the grain is consistent. Perfect. These are samples of roasted maple and walnut. 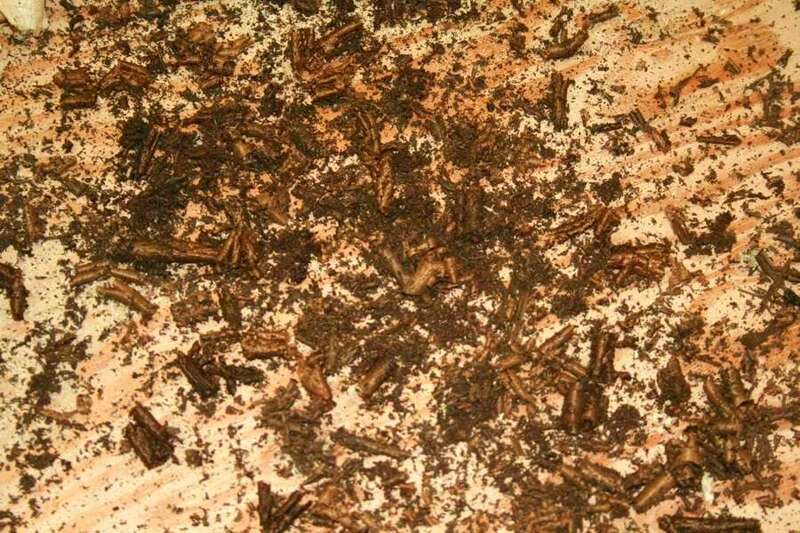 The shavings show that the colour goes all the way through the grain. That means it won’t wear through with use.